Euthanasia is a difficult choice for pet owners to make. Below, you can find resources to help you determine when is the "right" time as well as an explanation of our clinic's options for euthanasia. Euthanasia comes from the Greek for "good death". The process has also been referred to as "putting a pet to sleep" or "putting a pet down". No matter what you call it, euthanasia is a compassionate and respectful way to end the suffering of an animal. At Battle Ground Veterinary Clinic, we strive to make every euthanasia a stress-free experience for our patients and clients. When is the "Right" Time? Determining if it is the "right" time to say goodbye to your pet is difficult for many owners. Generally, chronic conditions follow a slow progression of symptoms with "good days" and "bad days". During a "bad day", an owner may feel more ready to say goodbye because the quality of life is low. However, by the time the scheduled euthanasia day comes around, the pet may be having a "good day" and the appointment may be rescheduled because the pet does not seem as painful or "ready". Often, the pet experiences more "bad days" during the wait for the new appointment day and the owner feels guilty about lengthening the pain. To make this decision less difficult, we have a few objective ways to measure quality of life and come to a decision before the patient experiences undue suffering. Begin by writing down 5-7 things that you believe makes your pet's life worth living from their perspective. Do they brighten up when playing with a favorite toy? Is their daily walk something they look forward to? For cats, is there a favorite spot in the house that they love to lay in? Is your pet a huge fan of snuggling with you? Do they live for mealtime or a favorite treat? These are just a few of the many things that bring joy to our patients and enrich their lives. By picking a few of their favorites, you are able to consider if they are still enjoying life or simply existing. Re-examine this list weekly and cross off favorites that your pet is no longer able to enjoy. When 2-3 of the "favorite things" are crossed off the list, consider discussing quality of life with your veterinarian. Create two jars -- one for "good days" and one for "bad days". At the end of each day, place a coin in the appropriate jar (try to use the same type of coin each day). Keep a close eye on the jars as time passes. When the "bad days" jar has more coins than the "good days" jar, consider discussing quality of life with your veterinarian. What Is the Process of Euthanasia? At Battle Ground Veterinary Clinic, we believe in making our patients' last moments as pleasant and seamless as possible. During your stay at the clinic, a sign will be placed at the counter and a candle will be lit (see above) asking our other clients to be respectful of the difficult time you are going through. Upon entering the clinic, you will be placed in a comfortable room where your wishes for the euthanasia and care of remains will be discussed. We allow our clients to choose to be present for the euthanasia or to say goodbye beforehand. Either decision is the "right" decision if it is the right choice for your family. We will also discuss your wishes for care of the remains (see below). 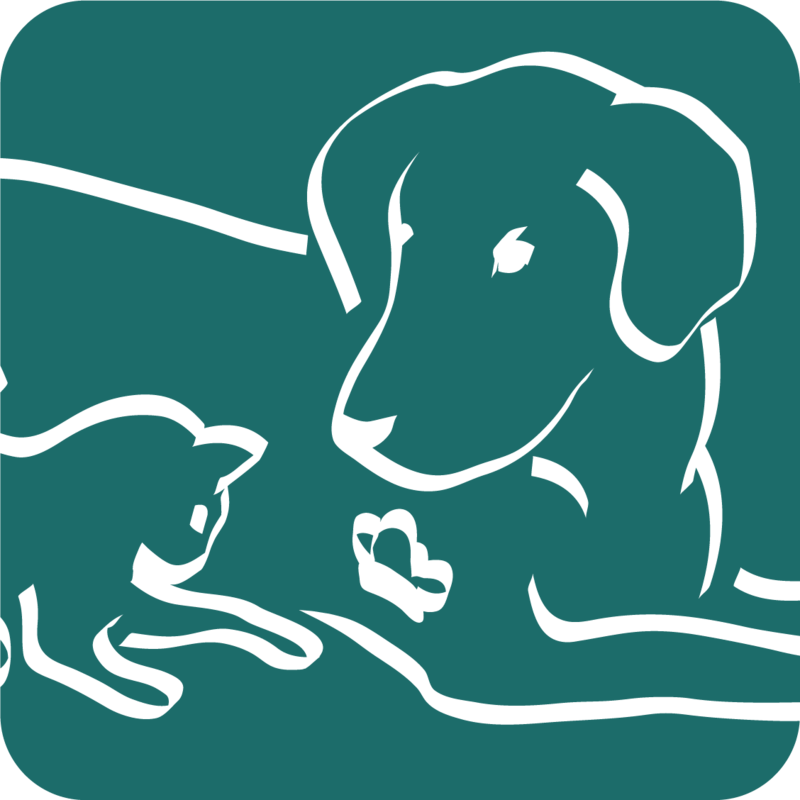 Your pet will be brought to the back treatment room to place a catheter prior to euthanasia. Catheter placement allows for direct access into the vein. While your pet's catheter is being placed, a staff member will help you process payment for the visit. Finalizing payment at this point helps our clients to spend the last moments with their pets without worrying about paying the bill afterward. After the catheter is placed, your pet will be brought back into the room and you will be allowed time to say your final goodbyes. When you are ready, a doctor will come into the room with a technician or assistant. We discuss the injection that will be administered and possible complications. The euthanasia solution will then be injected. This solution takes effect quickly and the patient generally passes away within 20-30 seconds. The doctor will listen for a heartbeat to confirm that the animal has passed. At this time, you may either leave or stay and spend a few extra minutes saying goodbye. Throughout this whole process, our staff is very aware of how emotional the process can be for even the most prepared owners and will treat you with the utmost respect for what you are going through. There are a few different choices for care of remains. We offer private cremation (ashes returned to owner) or group cremation (ashes not returned) through Pets Remembered. If you wish to bury your pet at home, we offer immediate release of the remains. Click here to learn more about Pets Remembered. We also offer a clay paw print as a remembrance of your beloved pet. These are offered free of charge. The grieving process is different for all owners. Everyone has a different process and time-frame when processing grief. Below are some resources for owners dealing with the emotions of losing a pet.